The story was hilarious and very good, but what got me into this trailer is the voice over by Ivan Sergei as Christian O'Connell, saying the following lines: There are a lot of different reasons why people become friends. Because you have a lot in common… or no one else would be your friend. If you look at it, it's somehow true, actually, but which one are you? This story of friendship between boys growing up together from different families, as far as I am concerned, is something to watch out for. Why? Because Jennifer Love Hewitt is in it and I haven't seen her in the big screen for quite some time. I am just hoping this movie does not have a limited release. Watch the trailer of Jewtopia, Starring Jennifer Love Hewitt, Joel David Moore & Ivan Sergei. Christian O'Connell (Ivan Sergei) has met the girl of his dreams in Alison Marks (Jennifer Love Hewitt). Unfortunately, Christian told Alison (who happens to be a rabbi's daughter) that his name was Avi Rosenberg, and that he was Jewish- neither of which are true. Desperate to keep up the illusion, he turns to his childhood best friend, Adam Lipschitz (Joel David Moore) to teach him how to "act Jewish." But Adam has problems of his own, with a fiancé (Jamie-Lynn Sigler) pushing him closer to a mental breakdown as their wedding approaches. With the best intentions, Adam and Christian attempt to help each other out, but things quickly go completely and hilariously off the rails in this outrageous all-star comedy from the creators of the original hit international play seen by millions. 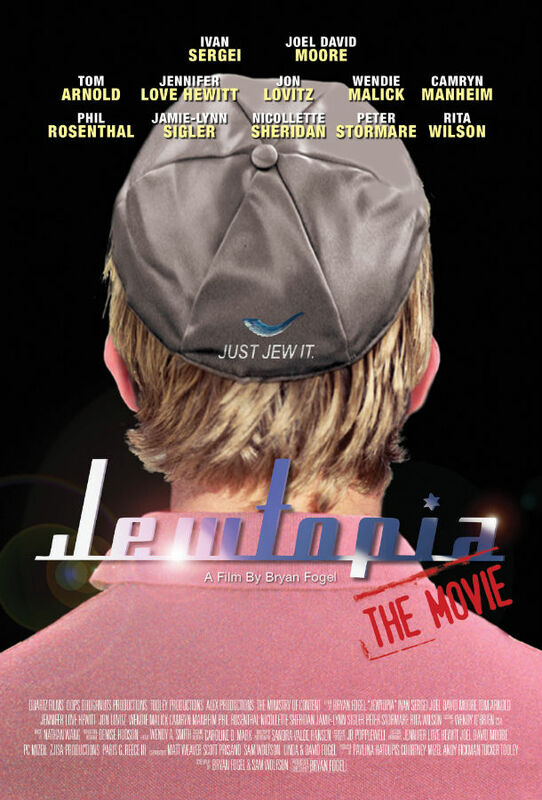 Bring out the Jew in you with Jewtopia, to be released in theaters on sometime this year.